Smile! 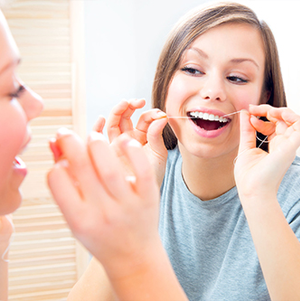 You’ve taken the first step toward good dental health and your overall well-being. At Awbrey Dental Group, our specialty is you. Since our practice began in 1995, we’ve focused on addressing the needs of each patient and providing personalized attention to create a warm, comfortable experience. Located near the Old Mill District and downtown in beautiful Bend, OR, we believe that taking care of your teeth means taking care of your body. Having a beautiful, confident smile is something everyone deserves, which is why we’re dedicated to providing our patients with an exceptional dental experience. We want to give you a smile you’ll be proud to share for the rest of your life. Had an old crown come loose last night. Called Awbrey Dental and they got me in early this morning and got me fixed up in minutes. Excellent team and excellent customer service. This is a great dental office. The staff is professional, and friendly. I definitely recommend this office if you're like me (or I used to be) and have anxiety about going to the Dentist they do everything they can to make you have a relaxed visit! I had a great experience at Awbrey Dental Group! by far the most thorough exam I've ever had and the staff are all super friendly. Would highly recommend them! Thank you Awbrey Dental for taking such wonderful care of me. I've seen most of the dentists and have enjoyed every single visit to your office. I'm so happy to have such a healthy smile! Dentists, assistants, and admin staff are all 5 star! Our dentists, Dr. Anne Scott, Dr. Peter Yonan, Dr. Kylie Wasserman and Dr. Blake Quigley, together with our professional staff, are dedicated to providing exceptional care and state-of-the-art dentistry. We put our money where your mouth is, investing in the latest dental health technologies, advanced training, and ongoing education. The result: the highest level of care and unparalleled personal attention. With a welcoming environment, holistic approach, and advanced technologies, our patients believe Awbrey Dental Group offers some of the most high quality, friendly dental care in Bend, Oregon. Feel free to contact our Bend dentist office to schedule an appointment. This could be the start of something beautiful.